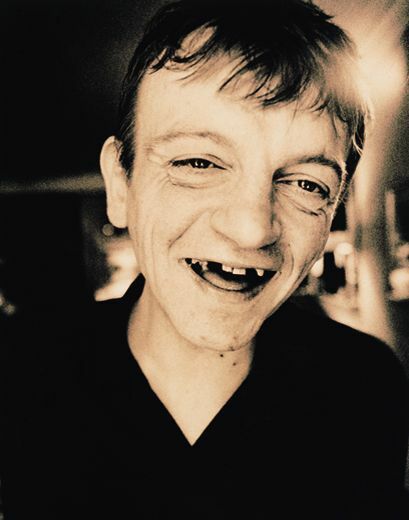 In his 40-plus years fronting The Fall, Mark E. Smith did little to dispel his reputation as rock ‘n’ roll’s most cantankerous character. There was the routine sacking of bandmates, the onstage fisticuffs, the arrests, the infamous interview slag-fests, the take-no-prisoners autobiography, the seeming ambivalence to losing teeth. And this is to say nothing of the thirtysomething albums he released with The Fall, a fearsome, oft-impenetrable body of work overflowing with relentless rants and scathing social critique set against an ever-shifting avant-punk backdrop. That reputation now transcends from the realm of the anecdotal to the mythical with the news that Smith has stumbled off to the great pub in the sky, having passed away on January 24 at age 60 (after chronic respiratory issues led to a raft of gig cancellations over the course of 2017). But while Smith’s notoriety is certainly justified, there are plenty of grass blades sprouting out of the cracks in The Fall’s cold-concrete terrain——songs where Smith’s sardonic sense of humor comes to the fore (“15 Ways”), where his bark calms into a croon (“Popcorn Double Feature”), where he faithfully reinterprets ’60s-rocks nuggets (The Move’s “I Can Hear the Grass Grow,” The Kinks’ “Victoria”), where he bends The Fall’s sound into something resembling synth-pop (“C.R.E.E.P.”), where he steps onto the dance floor (with Mouse on Mars as Von Südenfed), where he gives reggae (“Kurious Oranj”) and disco (Sister Sledge’s “Lost in Music”) a go, and where he provides episode recaps of Gossip Girl (“Nate Will Not Return”). In the wonderful and frightening world of The Fall, these are the tracks that comprise the former.